Three religious traditions, three unique circumstances, and three best times to ensure religious leaders are both trained in theology and well-prepared for contemporary challenges. On a balmy Wednesday afternoon in May of 1956, physicist Richard Feynman addressed the gathered members of the Caltech YMCA on the topic of science and religion. After lucidly outlining his view that scientific inquiry could neither fully prove nor disprove the existence of God, Feynman concluded by extolling what he referred to as the two great heritages he saw in Western civilization. The first was “humility of intellect,” an embrace of the unknown that he saw as the driving force behind scientific inquiry. The second he called the “humility of the spirit,” which he connected to the Christian approaches to love, human kinship and the value of the individual, but which could just as well apply to the posture before the divine described in many religious traditions. Throughout the world, religious leaders are in a unique position to offer influential reflection on the two sorts of humility that Feynman spoke of. But ministers, theologians, priests, and mullahs are often hamstrung by their own lack of scientific literacy — since few leaders from any tradition do scientific coursework as part of their formal training. With a series of recent grants, the John Templeton Foundation is working to change that for a diverse collection of religious leaders. The decree Optatam Totius, approved by the Second Vatican Council of the 1960s, emphasized that candidates for the priesthood should be educated in the sciences as well as philosophy and theology. In practice, though, few “major seminaries,” where diocesan priests receive advanced theological instruction according to a curriculum controlled by the Vatican’s Congregation of the Clergy, have been able to find room for such training. Only eight percent of newly ordained priests have a strong background in the sciences. Doris Donnelly, a theology professor at John Carroll University, saw an opportunity to improve that number by reaching future priests before they begin their formal training, during pre-theology programs which provide preparatory classes for prospective priests. She is overseeing a competition for innovative courses designed to increase pre-theology students’ scientific, statistical, and philosophical literacy. At Holy Apostles College and Seminary in Connecticut, a funded course titled “Science in the Light of Faith” teaches students about the scientific method and how to read scientific literature on subjects including cosmology, genetics, and evolution. Mount St. Mary’s Seminary in Maryland has pioneered a course called “Statistics and the New Evangelization,” which guides students through the basics of data science. One early result of the pre-theology program is that its graduates have proven motivated to take on extra coursework during seminary to continue thinking about the issues raised in the program — suggesting that changes in the curriculum of the major seminaries themselves may not be far behind. In India and Pakistan, Muslim ministers-in-training graduate from their madrasas without having received formal training in the ways that science and philosophy can be in dialogue with their theological training. With a three-year Templeton Foundation grant, Notre Dame Islamic Studies professor Ebrahim Moosa is developing ways to teach graduate-level students in traditional Muslim schools. Though there is a rich history of natural science and mathematics in Islam and the Muslim world, Moosa observes that modern science plays almost no role in the typical madrasa curriculum. It’s not uncommon for science to be seen by madrasa students as a Western notion that threatens traditional thought and belief. Moosa’s program is designed to equip students with intellectual tools such as critical reading and problem-solving skills. Another tool, which Moosa calls “knowledge maps,” aims to teach students to approach questions from a multi- and interdisciplinary perspective. Moosa believes that, structured correctly, these intellectual tools can provide the bridge between traditional and modern concepts. 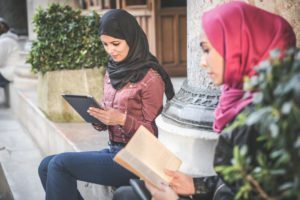 The curriculum isn’t designed to challenge traditional Muslim beliefs, but rather to allow students to engage with the complexities of a modern world. More than 300 students applied to be part of the program, from which Moosa and his team selected a cohort of 17 to work through the pilot curriculum’s yearlong units on religious and cultural pluralism, contemporary science and philosophy, and recent Muslim attempts to engage modern thought more broadly. When the pilot phase is completed, Moosa’s team will undertake a rigorous evaluation of the program to identify the best ways to expand it to more of South Asia’s tens of thousands of madrasas. In the post-Soviet era, the Russian Orthodox Church has found a revitalized place in the culture and politics of Russia, but its bishops and theologians can find it challenging to contextualize the faith they sustained under atheist Communist rule with the challenges of the present day. In particular, the Russian Orthodox Church missed out on a century of often fruitful theological and philosophical investigation into the ways that churches can integrate scientific discoveries and analytic theology into their religious practice. The St. Gregory the Theologian Charity is carrying out a three-year plan to train future theology professors and bishops in how to engage their theology with contemporary science and philosophy. The hope is that these leaders will then be able to share those insights with present and future generations of Russian Orthodox believers and their broader communities. The grant includes a survey of all Russian Orthodox Church seminaries to help leaders understand where science and analytic philosophy are and aren’t being currently taught. It is also funding 30 academic visits and 12 fellowships for longer-term study at Western seminaries and divinity schools including Yale, Duke, and Notre Dame, as well as the creation of 24 new courses at the Russian Orthodox Church’s Postgraduate School and 18 three-day courses to be taught by visiting professors from Western institutions. These grant programs add to the Foundation’s ongoing investments in “science-engaged theology” — religious scholarship and training that draws on the methods and findings of science in ever deeper ways — such as the “Science for Seminaries” collaboration between the American Association for the Advancement of Science and the Association of Theological Schools. Whether it comes before, during, or after the main body of theological training, engagement with scientific thinking can prepare religious leaders to help their congregants and followers understand the interplay between their faith and the modern, science-infused world. When a minister can make insightful reference to neuroscience findings in a sermon or help a congregation interpret social science surveys, theology is not diminished. Instead it can be both more grounded in reality and grounded in wonder.